Planning to be expats in Bolivia? 10 questions to ask yourselves first! Future expats in Bolivia: 10 questions! The best advice for anyone considering living as an expat in Bolivia comes from expats who already have experienced relocating to Bolivia, or even neighboring countries in South America. Below you’ll find ten important questions to ask about living as expats in Bolivia, when choosing expat retirement destinations, or for example, if you are moving to Bolivia with kids. 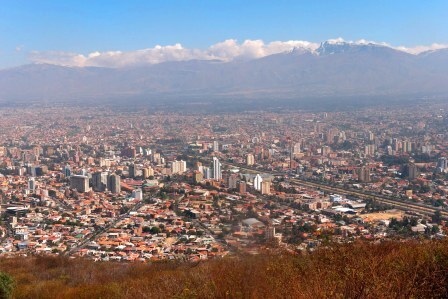 Don’t just ask what are the best or cheapest Bolivian cities for expats. What is right for some may not necessarily be what's right for you. 5. How does each member of the family feel about living in Bolivia? The decision must be mutual between partners. Children won’t ultimately decide, but should be made to feel their opinions were taken into account, regardless of the final decision taken. Will I (will our family) truly benefit from moving to Bolivia? 6. Did I fully research housing, schooling, employment, transportation, healthcare, residency requirements and everything else I'll (we'll) need for the Bolivia expat life? 10. Am I (are we) truly willing to blend into local Bolivian life, accept the things we are not accustomed to, and thrive despite the changes? Or do I want to thrive? READ PAGE 1 of this 3-page article: Listen to this 2-part webcast interview done by RealityAbroad.com in which I give my personal account of life as an expat in Bolivia. READ PAGE 3 of this 3-page article: Can Bolivia truly provide you the type of lifestyle you hope for? What if you move here and then you don't like it? What can you expect in Bolivia? If you are still in the research stage and haven't yet determined whether or not Bolivia is right for you, I encourage you to exhaust every resource available to you. You can ask questions in our public Expat Forum, read through all of the pages in our Live in Bolivia and Bolivia Facts sections, join our BoliviaBella Facebook Group, get in contact with other Expats in Bolivia, and keep up with Bolivia News and current events. All of these are free public resources. However, if after all of your research you still have questions you'd like answered, consider making use of the BoliviaBella Question and Answer Service. Read more about it here.